In Central America, most new human Trypanosoma cruzi infections (Chagas disease) are vector-borne, primarily by native vector species. Given the importance of vector control in reducing Chagas disease incidence, here, we provide an updated report on the recent advances and the latest research in vector ecology and control in Central America. Our objective is to present a panorama of the current situation that includes vector control program details, recent public health activities and academic research, and current challenges faced by each country and the region as a whole. With the elimination of the introduced species Rhodnius prolixus from the region, the primary vector control challenge is control of native species that move between sylvan and domestic environments, namely Triatoma dimidiata and Rhodnius pallescens. These species cannot be eliminated from domestic/peridomestic settings in a sustainable way using insecticide alone, as residual members of domestic populations and/or sylvatic foci allow the species to persistently reinfest following insecticide application. Implementation of integrated, multidisciplinary methods for native vector species control has yielded promising results. In particular, projects using the Ecohealth method have been scaled up and expanded to endemic areas in multiple countries through partnerships between international stakeholders and ministries of health (MoHs). Additionally, the recent description of two new triatomine bug species that were once classified as T. dimidiata may help to tailor vector control methods to interspecies variations, and the discovery of a dark morph of R. pallescens may provide further insight into vector control in Panama. Finally, associations between deforestation and vector T. cruzi infection and abundance in Panama call attention to associations between human land use change and Chagas disease risk. The elimination of R. prolixus contributed to significant reductions in human T. cruzi infection incidence in Central America over the past 20 years, but native vector species still pose a significant public health threat. New methods and collaborations present promising solutions, but sustained partnerships, long-term commitment, and strong regional leadership are required to see them through. The authors thank Mr. Kim Bautista for providing information and data for Chagas disease in Belize, and reviewing the Belize portion of the manuscript; Erick Campos Fuentes of INCIENSA for providing information about Chagas disease in Costa Rica; and Doctor Andrea Urbina for reviewing parts of the manuscript. Dr. Saldaña is a member of the Sistema Nacional de Investigación (SNI), SENACYT, Panamá. Díaz Cruz SJ. Caracterización de hábitos alimentarios en Triatoma dimidiata mediante la técnica de PCR forense en el municipio de Texistepeque, departamento de Santa Ana [Internet] [Bachelor of Science ]. University of El Salvador; 2017. Available from: http://ri.ues.edu.sv/id/eprint/13951/. Castillo Ayala K. Triatoma ryckmani (Zeledón y Ponce, 1972; Hemiptera: Reduviidae) en ambientes domiciliares de El Salvador [Internet]. Congreso Nacional sobre la Enfermedad de Chagas ; July 8th and 9th, 2016. Available from: http://www.cienciaytecnologia.edu.sv/eventos_realizados/Presentaciones%20del%20Congreso%20de%20Chagas%20en%20PDF/t.ryckmani%20en%20ambientes%20domiciliares%20de%20SV.pdf. Accessed 20 Feb 2019. Bonilla M, Di Mare-Hering MI, Castro-Vázquez RM, Dolz G. Especies de Trypanosoma presentes en animales silvestres de Costa Rica [Internet]. 2018. Available from: https://www.researchgate.net/publication/327351158_Especies_de_Trypanosoma_presentes_en_animales_silvestres_de_Costa_Rica. Accessed 25 Jan 2019. Rubi R, Urbina A, Dolz G, Acosta MH. Murciélagos generalistas de Costa Rica: descripción macro-ambiental de sitios de captura, características del hospedero y caracterización molecular de Leishmania spp. y Trypanosoma spp [Internet]. 2017. Available from: https://www.researchgate.net/publication/325177542_Murcielagos_generalistas_de_Costa_Rica_descripcion_macroambiental_de_sitios_de_captura_caracteristicas_de_hospedero_y_caracterizacion_molecular_de_Leishmania_spp_y_Trypanosoma_spp. Accessed 18 Jan 2018. Hashimoto K, Zúniga C, Nakamura J, Hanada K. Integrating an infectious disease programme into the primary health care service: a retrospective analysis of Chagas disease community-based surveillance in Honduras. BMC Health Serv Res [Internet]. 12/2015 [cited 2018 Jun 18];15. 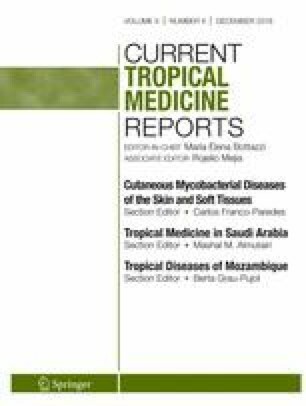 Available from: http://bmchealthservres.biomedcentral.com/articles/10.1186/s12913-015-0785-4. Accessed 7 Feb 2019. Preventing Chagas in Central America through simple home improvements [Internet]. International Research Development Center (IRDC). 2016 [cited 2019 Feb 6]. Available from: https://www.idrc.ca/en/article/preventing-chagas-central-america-through-simple-home-improvements. Accessed 1 Feb 2019. Alliances for Chagas elimination in Central America [Internet]. IDRC - International Development Research Centre. 2019 [cited 2019 Feb 7]. Available from: https://www.idrc.ca/en/project/alliances-chagas-elimination-central-america. Accessed 18 June 2018. Organización Panamericana de la Salud/Secretaría de Salud Honduras. Plan estratégico nacional de Chagas 2003-2007 [Internet]. Tegucigalpa: OPS/ Secretaría de Salud Honduras. ; 2003. Available from: https://www.paho.org/hq/dmdocuments/2011/Plan-estrategico-Nac-chagas-2003-2007.pdf. Accessed 18 June 2018. Secretaría de Salud de Honduras, Dirección General de Promoción de la Salud, Programa Nacional de Prevención y Control, de la Enfermedad Chagas y la Agencia de Cooperación Internacional del Japón (JICA). Informe final del proyecto de control de la enfermedad de Chagas fase 2 (2008-2011) [Internet]. Tegucigalpa, Honduras; 2011. Available from: https://www.jica.go.jp/project/honduras/0701409/04/pdf/oritect_fase2_01.pdf. Accessed 8 Nov 2013. Japanese International Cooperation Agency. Buenas prácticas en el control de la enfermedad de Chagas en Guatemala, El Salvador, Honduras y Nicaragua 2000–2014 [Internet]. 2014. Available from: http://c3.usac.edu.gt/lenap.usac.edu.gt/public_html/wp-content/uploads/2014/03/Buenas-Practicas-Chagas-GUT-ELS-HON-NIC-2000-2014-para-Web.pdf. Accessed 6 Feb 2018. Ministerio de Salud El Salvador. Vigilancia y Control de la Enfermedad de Chagas. El Salvador 2014 [Internet]. Miniforo CYTED IBEROEKA; May 29–30, 2014. San Salvador, El Salvador. Available from: http://www.cienciaytecnologia.edu.sv/miniForo/Ing.%20Jose%20Eduardo%20Romero%20Chevez%20.pdf. Accessed 28 jan 2019. Ministerio de Salud, Nicaragua (MINSA), Agencia de Cooperación Internacional de Japón (JICA). Informe final del proyecto para el fortalecimiento de las actividades de vigilancia y control de la enfermedad de Chagas en Nicaragua (2009-2014) [Internet]. 2014. Available from: https://www.jica.go.jp/project/nicaragua/001/materials/ku57pq0000126ws5-att/informe_final_proyecto_chagas.pdf. Accessed 7 Feb 2019. Abad-Franch F, Vega MC, Rolón MS, Santos WS, Rojas de Arias A. Community participation in Chagas disease vector surveillance: systematic review. PLoS Negl Trop Dis [Internet]. 2011;5. Available from: https://doi.org/10.1371/journal.pntd.0001207. Costa Rica Ministerio de Salud. Norma de atención integral de la enfermedad de Chagas [Internet]. 2012. Report No. : CIE-10:B57. Available from: http://www.inciensa.sa.cr/vigilancia_epidemiologica/Protocolos_Vigilancia/37269%20Norma%20Atencion%20Integral%20de%20la%20Enfermedad%20de%20Chagas.pdf.Accessed 22 Jan 2019. Argüello-Sáenz M, Herrero MV, Urbina A, Dolz G. Infestación domiciliar y peridomiciliar de Triatoma dimidiata, vector de la enfermedad de Chagas, en una comunidad periurbana en Heredia, Costa Rica. Escuela Medicina Veterinaria, Universidad Nacional de Costa Rica; 2015. Available from: https://www.researchgate.net/publication/283346394_1_Arguello-Saenz_M_Herrero_MV_Urbina_A_Dolz_G_Infestacion_domiciliar_y_peridomiciliar_de_Triatoma_dimidiata_vector_de_la_enfermedad_de_Chagas_en_una_comunidad_periurbana_en_Heredia_Costa_Rica. Accessed 18 June 2018. Chinchilla M, Castro A, Reyes L, Guerrero O, Calderó N, Arguedas O, Troyo A. Enfermedad de Chagas en Costa Rica: Estudio comparativo en dos épocas diferentes. Parasitología latinoamericana [Internet]. 12/2006 [cited 2018 Oct 7];61. Available from: http://www.scielo.cl/scielo.php?script=sci_arttext&pid=S0717-77122006000200007&lng=en&nrm=iso&tlng=en. Accessed 18 June 2018. CalderóN-Arguedas O, Troyo A, Castro A, Guerrero O, Chinchilla M. Infestación por vectores de la Enfermedad de Chagas en cuatro zonas endémicas de la meseta central de Costa Rica. Parasitología latinoamericana [Internet]. 07/2002 [cited 2018 Oct 13];57. Available from: http://www.scielo.cl/scielo.php?script=sci_arttext&pid=S0717-77122002000300002&lng=en&nrm=iso&tlng=en. Accessed 17 Jan 2018. Gottdenker NL, Chaves LF, Calzada JE, Peterson JK, Santamaría A, Pineda V, et al. Trypanosoma cruzi and Trypanosoma rangeli co-infection patterns in insect vectors vary across habitat types in a fragmented forest landscape. Parasitology Open [Internet]. 2016 [cited 2019 Jan 21];2. Available from: http://www.journals.cambridge.org/abstract_S2055709416000091. Accessed 7 Feb 2019. Moriana S, Ortiz G, Fanjul G. Breaking the silence: an opportunity for patients with Chagas disease [Internet]. Chagas Disease Global Coalition; 2016 Aug. Available from: http://www.coalicionchagas.org/documents/5415804/5524305/breaking+the+silence_report/65091404-85cf-4796-bebb-64c120a26216. Accessed 7 Feb 2019.